Renqian Yang, Clustered Light, 2018. 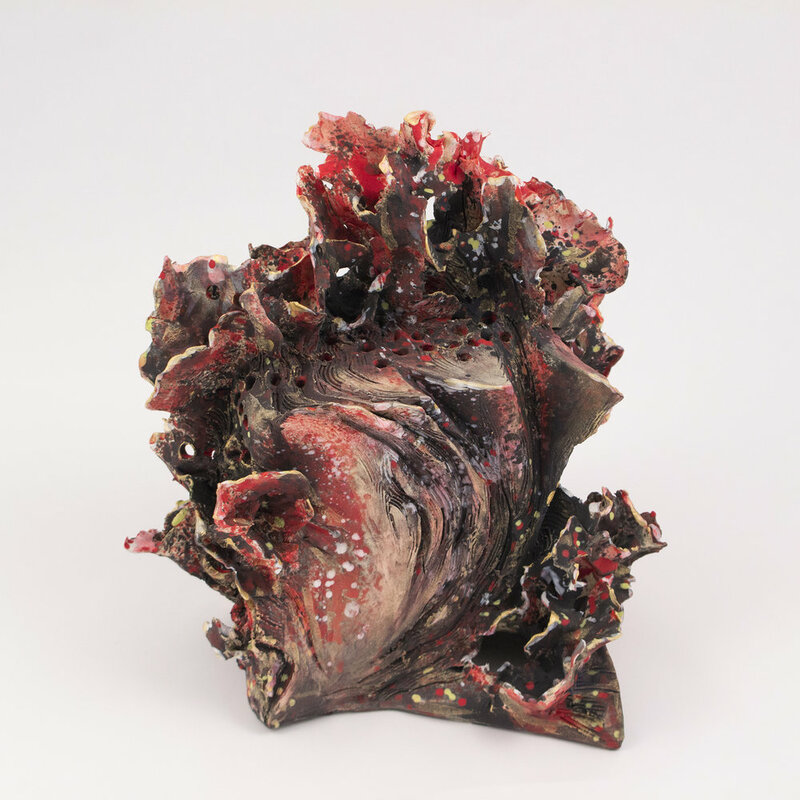 Paper clay, fire to cone 6, electric kiln, 11 x 7 x 5 inches each ©Renqian Yang, courtesy Fou Gallery. 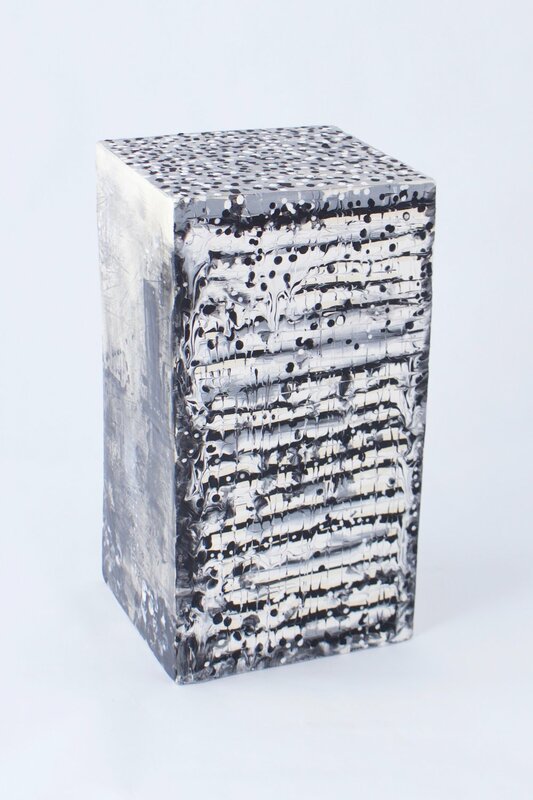 Fabricated Construction 12, 2018, Porcelain, fire to 1300C, gas reduction, 0.4 x 19.7 inch (dia.) © Renqian Yang, courtesy Fou Gallery. 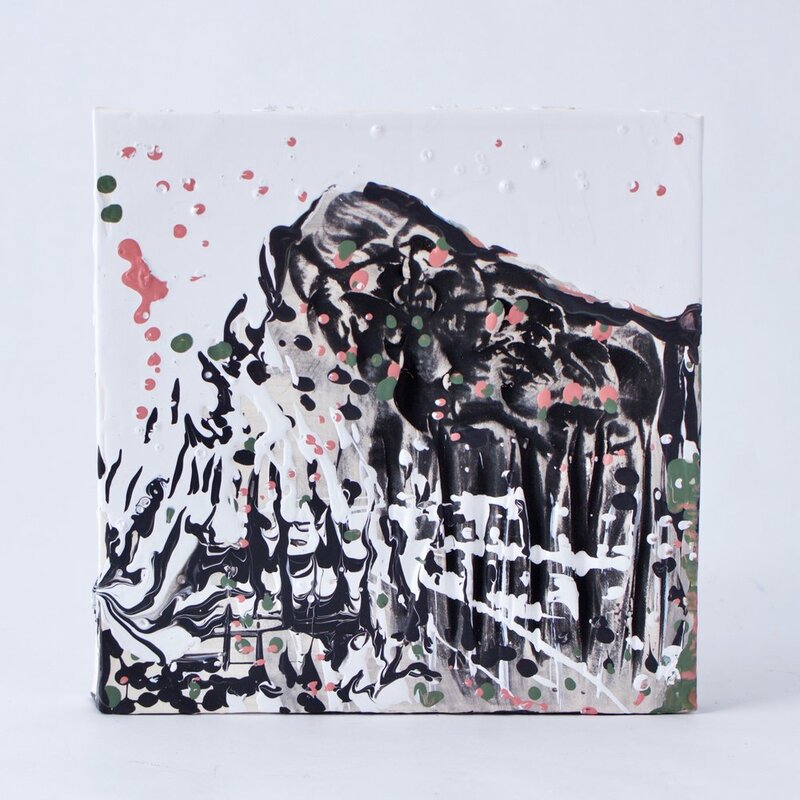 Landscapes Deconstruct I, 2018, Porcelain, fire to 1300C, gas reduction, Various dimension, 12 pieces © Renqian Yang, courtesy Fou Gallery. Landscapes Deconstruct III, 2018, Porcelain, fire to 1300C, gas reduction, Various dimension, 12 pieces © Renqian Yang, courtesy Fou Gallery. Space Deconstruction 4, 2018, Porcelain, fire to 1300C, gas reduction, 13.4 x 7.9 x 5.9 inch © Renqian Yang, courtesy Fou Gallery. Urban Sprawl 3, 8.5 x 10 x 7.5 inch, stoneware, underglaze, acrylic, 2016. Between Earth and Sky, Now and Then, acrylic on canvas, 36 x 24 inch, 2016. Renqian Yang earned her B.F.A. in Ceramics from the Sichuan Fine Arts Institute, Chongqing in 2009 and her M.F.A. in Ceramics from Syracuse University in 2014. Currently, she lives and works in Oswego, New York as an artist and Assistant Professor at the State University of New York at Oswego. 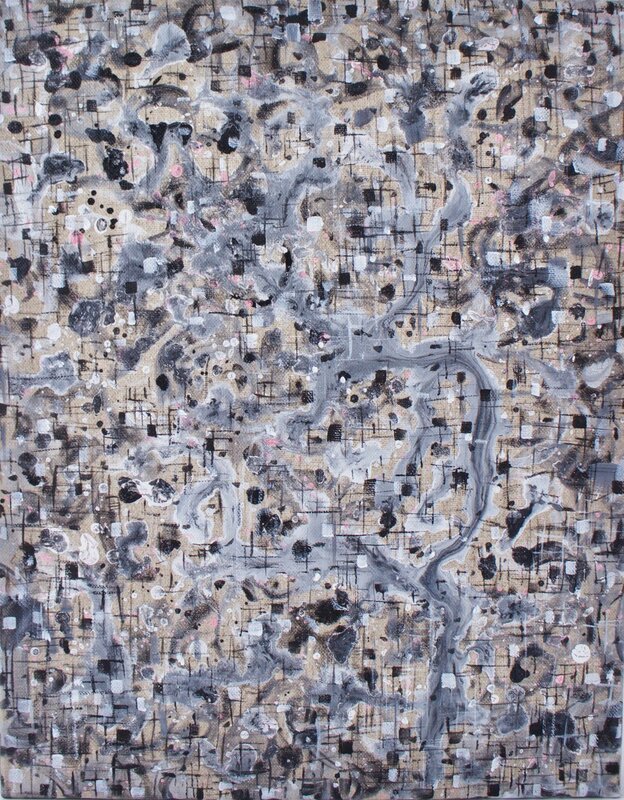 Yang’s work has continued to exhibit in the U.S. and China. Her recent exhibitions include: Renqian Yang: Construct Deconstruction, Taoxichuan Ceramic Art Avenue Art Gallery, Jingdezhen, China (2018); Renqian Yang: Complementary Colors, Fou Gallery, New York (2016); Rare Earth: National Ceramics Exhibition, Cabrillo Gallery, Aptos, California (2016). In January 2017, she had her first solo exhibition in New York at Fou Gallery. She served as a residency artist at Craigardan (2018), Jindezhen International Studio (2018), and the Watershed Center for the Ceramic Arts (2017). Yang is interested in the concept of binaries. Her work addresses the unity and the contradiction of dichotomies: restriction and freedom; pessimism and optimism; complexity and simplicity; representation and abstraction; the man-made world and the natural world. At the same time, her work explores how an individual is related to nature, society, and oneself. Yang combines both traditional and nontraditional methods in her practices. While primarily focusing on ceramics, her work also extends to installation, sculpture, drawing, painting, video and functional everyday objects. Location: 8 Exhibition Area, 2 Floor, Taoxichuan Ceramic Art Avenue Art Gallery. Location: Shipyard 1862, 1777 Binjiang Avenue, Pudong District, Shanghai.